Wanted ~ Lots of Money & Enthusiasm! So what will become of it? Will the scrap man arrive at Caister Road and take it away or will someone/group materialise and save it? 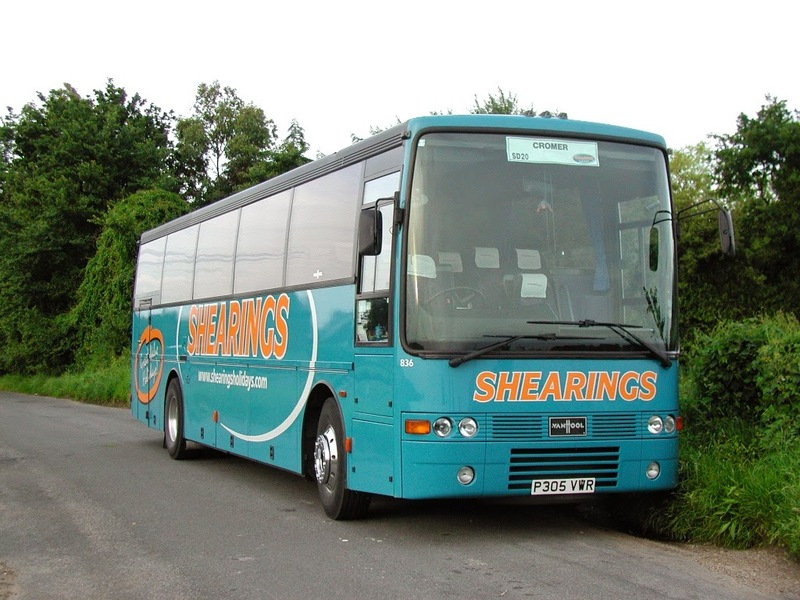 With the news this week that Shearings have announced a new order for Mercedes Benz vehicles I thought I would look back at the various types noted in the town over the past 10 years or so. 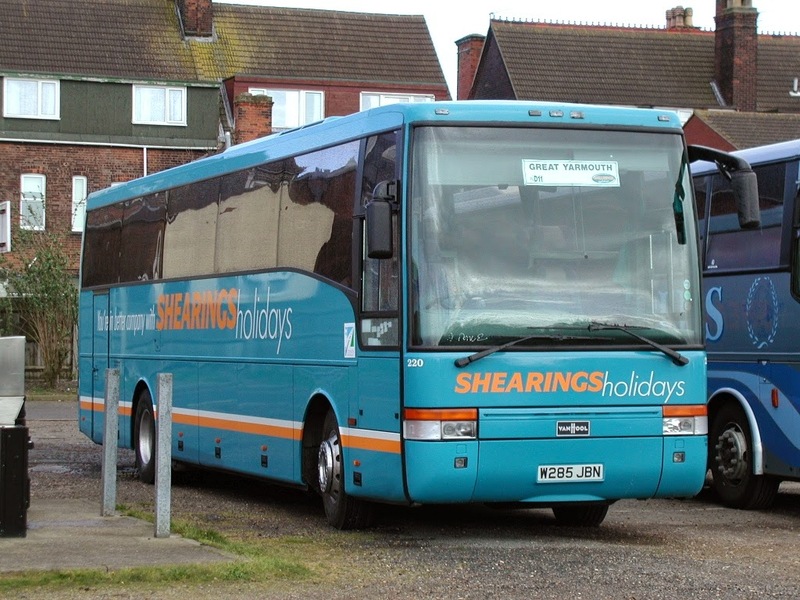 Whilst living in Yarmouth i worked a stones throw away from the Coach Station so a lot of photos were taken on my way home in the evening mainly during the summer and Shearings vehicles were always present. 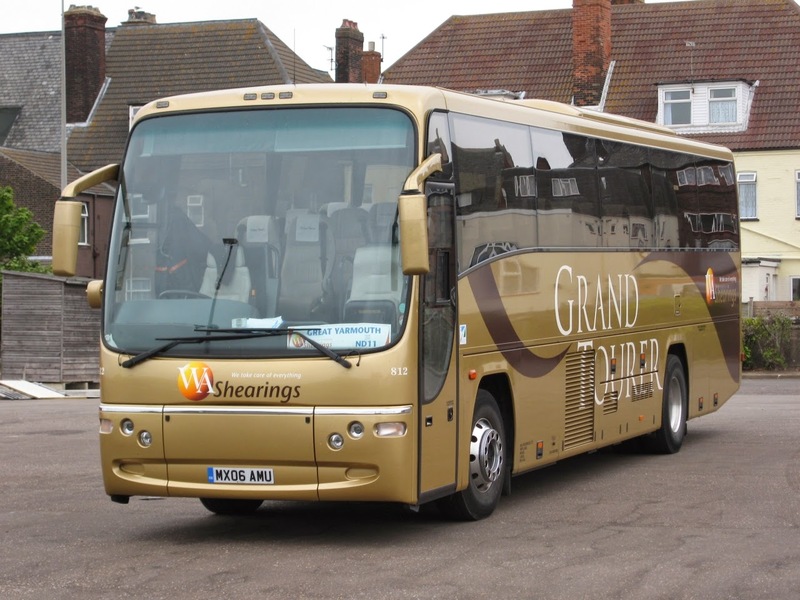 Shearings own the Carlton Hotel in Great Yarmouth so their vehicles are noted here all year round, as well as Hotels in North Norfolk. 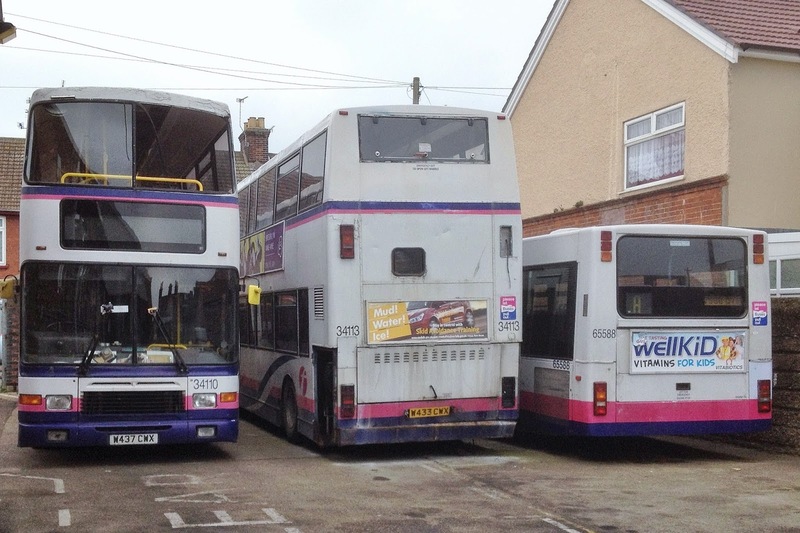 At peak times it is not uncommon to see up to 4 coaches in the town at any one time. 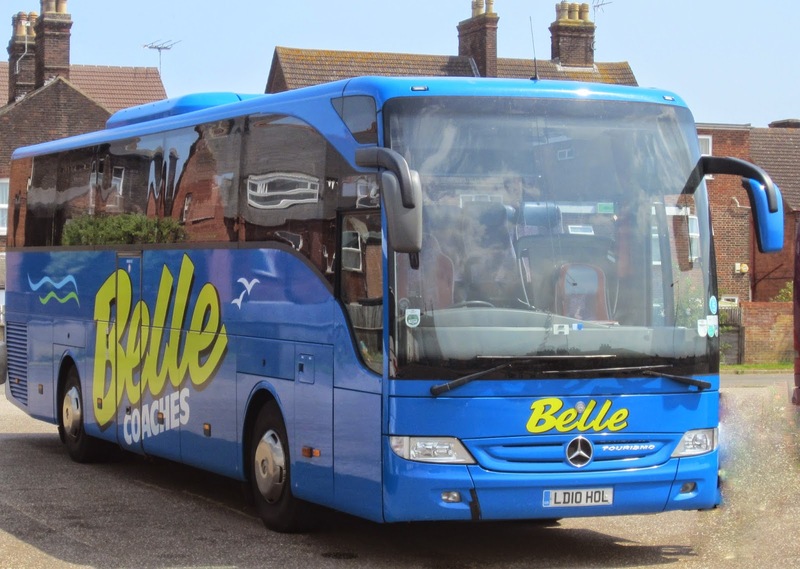 National Holidays are also part of the group and the current fleet of Setra based vehicles are regulars to the Coach park, another blog entirely I think! 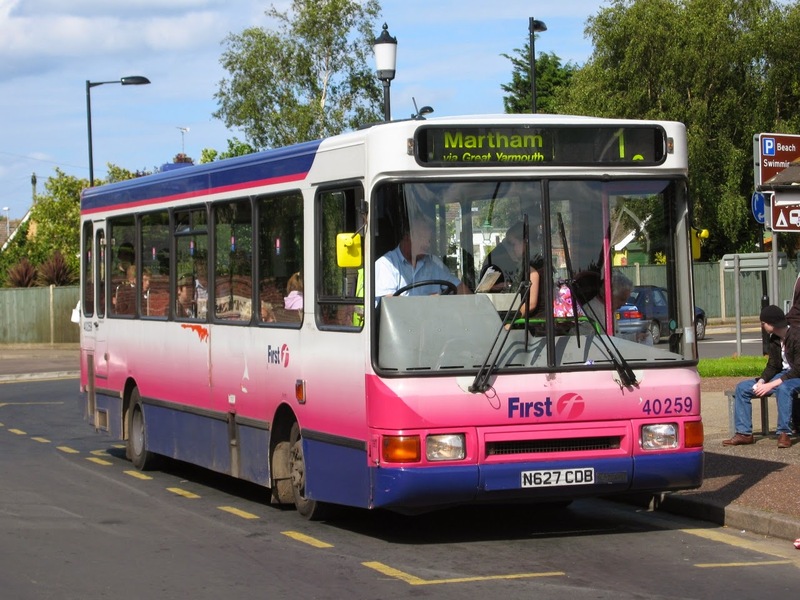 2009 saw the introduction of Setra vehicles to the fleet, BN09FXA pictured when new in the town. 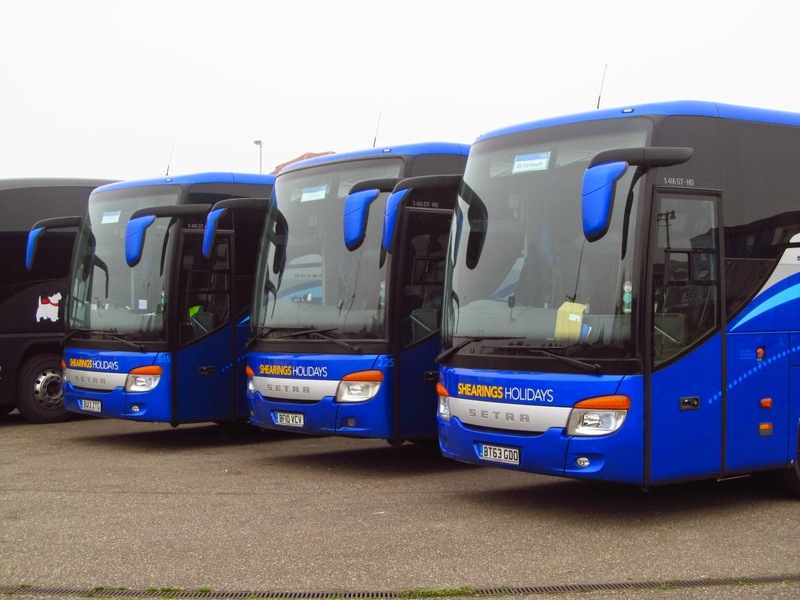 Today's fleet is mainly based around Setra 415/416GT-HD vehicles with over 100 now in use, some Plaxton, Van Hool & Jonckheere vehicles also remain active within the group. 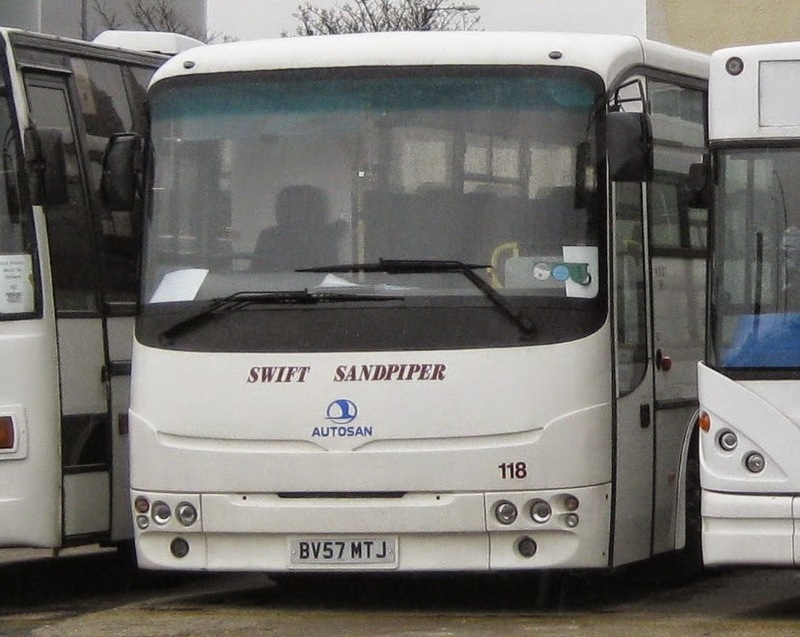 A typical sight in the summer months at Beach Coach Station. 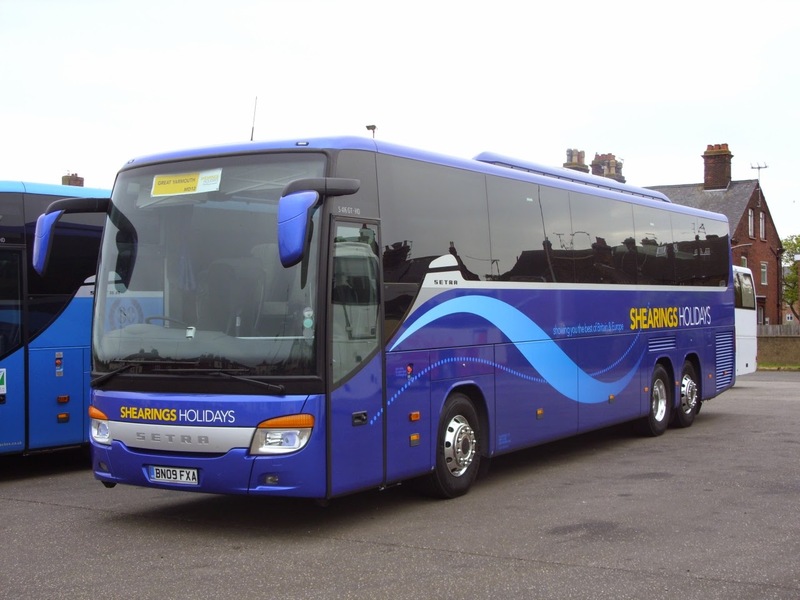 Myself and Roy are keeping our eyes peeled for the first MB Tourismo to appear in the town, I'm sure it wont be too long, its strange looking back when doing a feature like this just how much companies change and evolve, Shearings has certainly done that since my first photos in 2002/3! 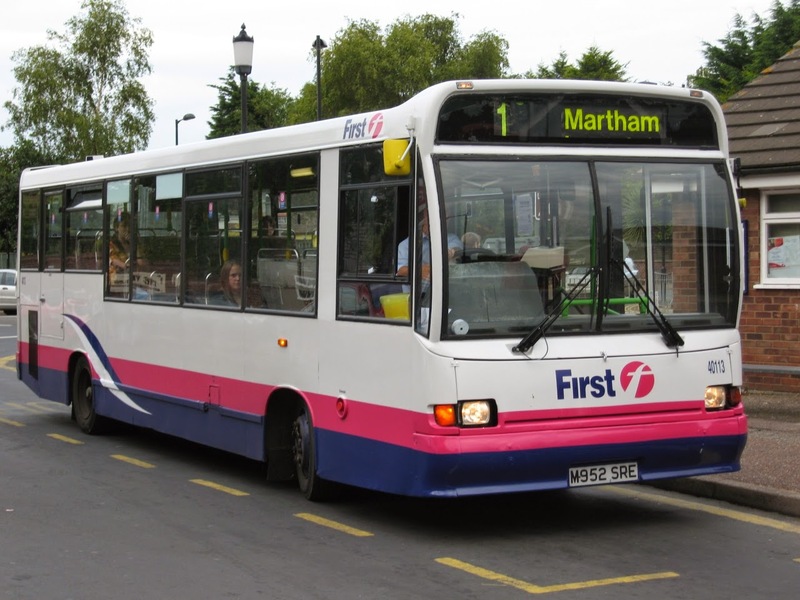 The first to report was the appearance of Alfa Travel's Plaxton Paragon bodied Volvo B12B YN10EOC waiting to pick up its passengers at Castle Meadow prior to returning to Cromer. Norse Tridents were continuing with their Park and Ride duties. 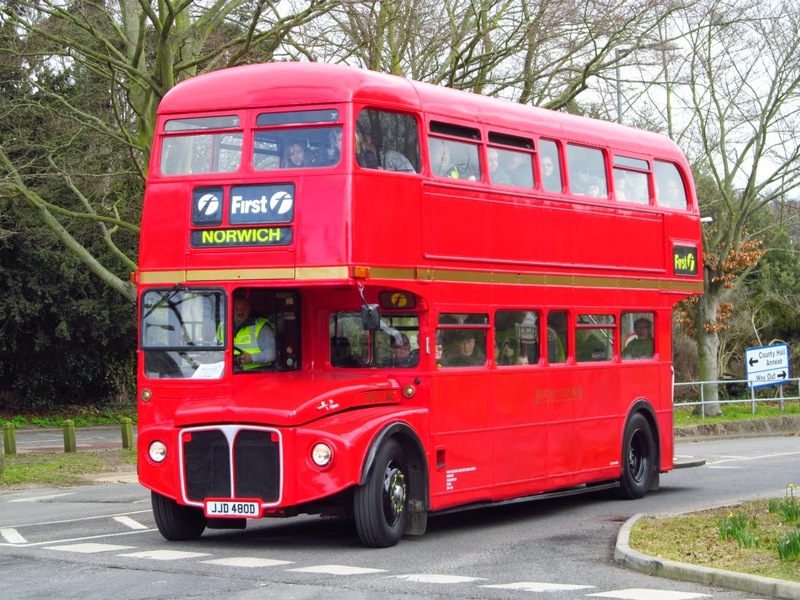 I understand from SteveW that Konect have been awarded all the Norwich Park and Ride routes commencing in September so we won't have long now to enjoy those hard seats! 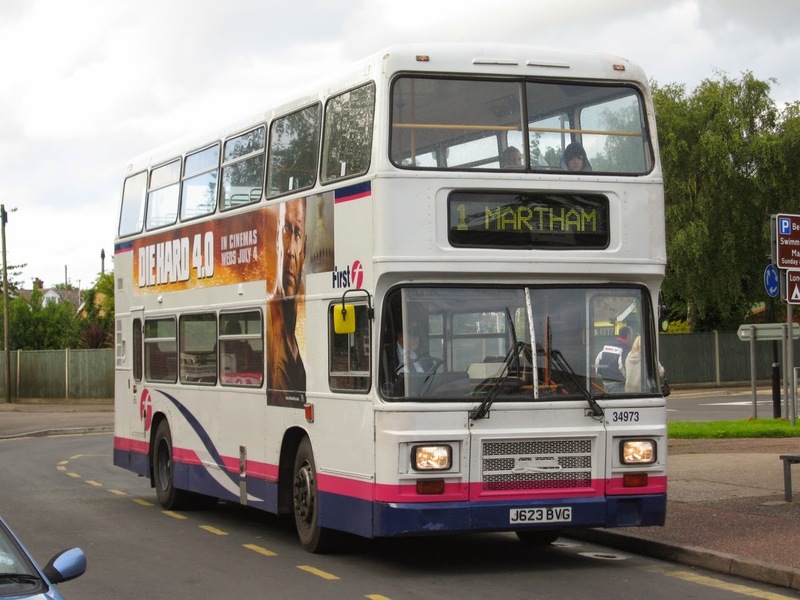 Leyland PSU3/1R's from the Trent Motor Traction fleet used to regularly run to the town from the East Midlands during the holiday season. Often up to four could be observed at the former railway station site at the same time and I recorded the visit of six them on one Saturday! 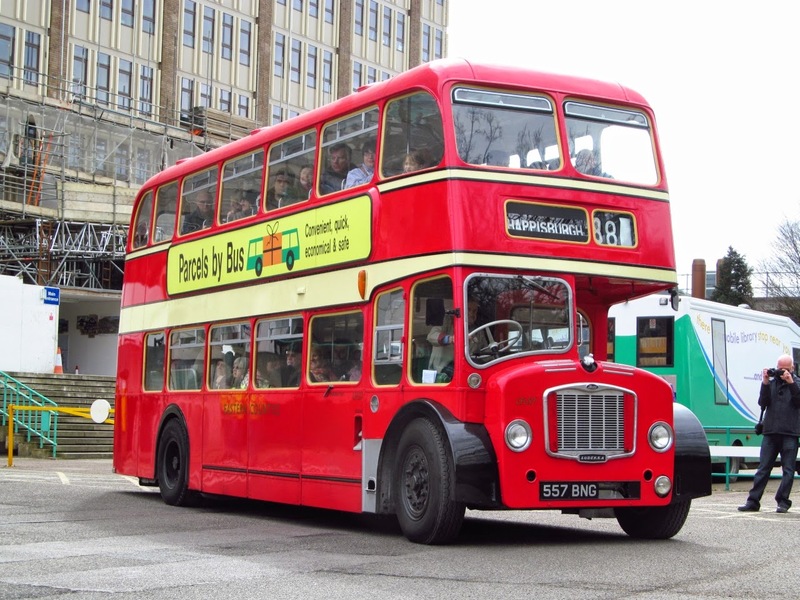 213CCH was one of a batch of twenty three Willowbrook bodied dual purpose 51 seaters delivered to Trent during April and May 1963. 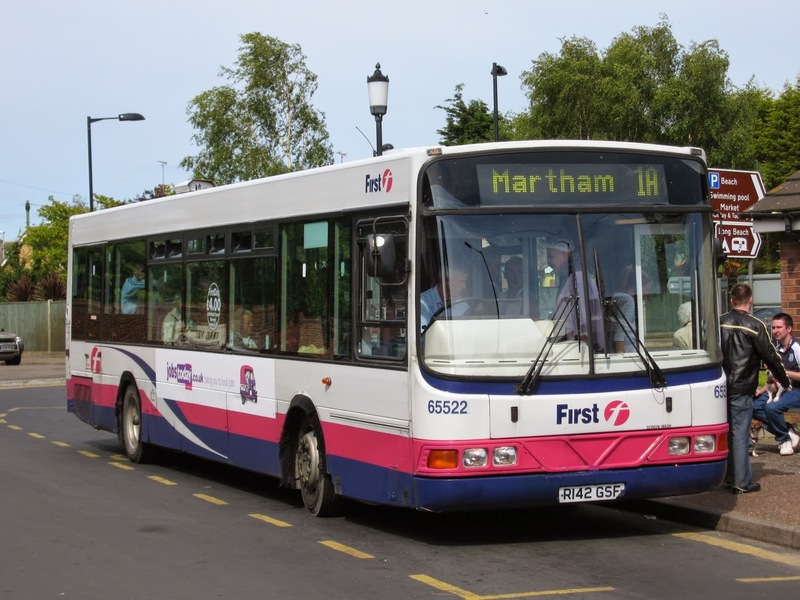 Following withdrawal it could subsequently be seen on the streets of Great Yarmouth having been converted into a mobile catering vehicle. 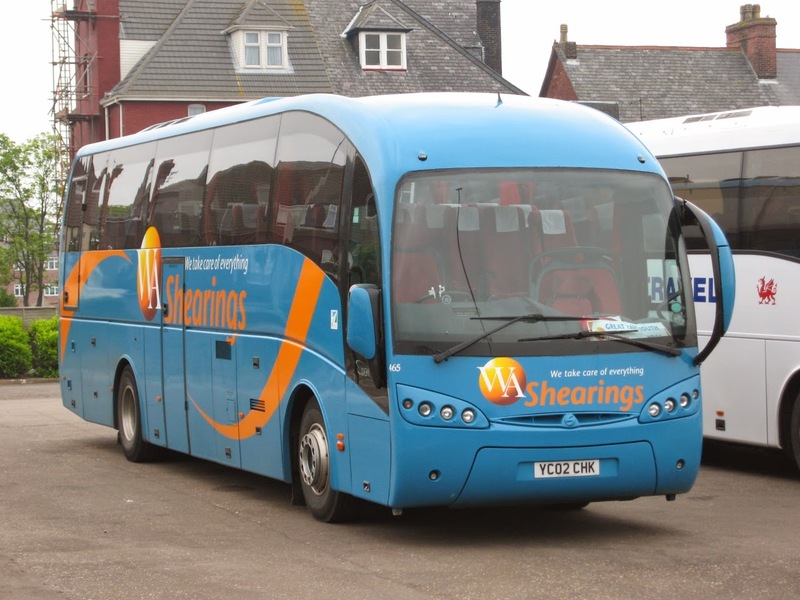 This forms the largest Tourismo order for the UK and the 38 includes 23 twelve metre versions for National Holidays with the remainder being the 13 metre option for Shearings Holidays. 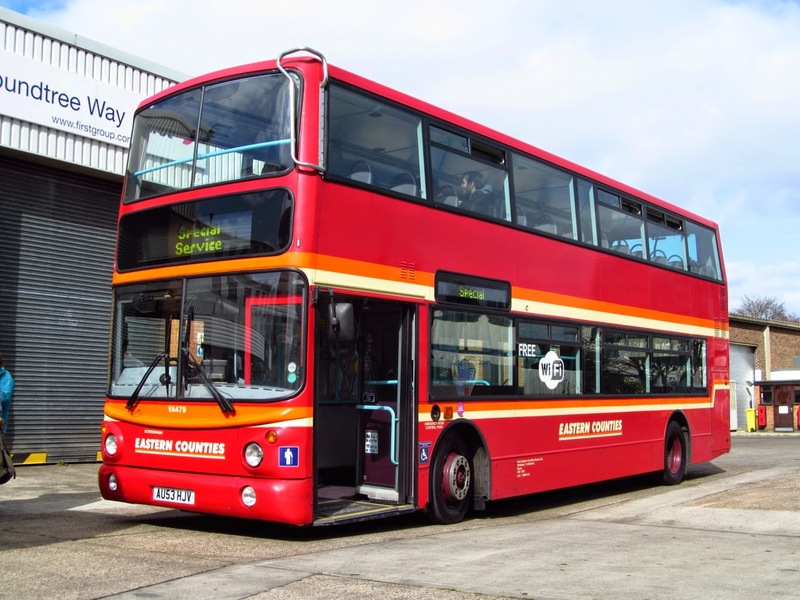 Anglianbus reports on the Enthusiast page of their website that their first newly refurbished East Lancs bodied Scania OmniDekka YN55PZF has arrived! Previously I had not observed much on a Sunday but this time it was different. As I turned the corner from Church Street I was met by a view of specially branded Stagecoach ADL Enviro200 36169 KX60DTN. 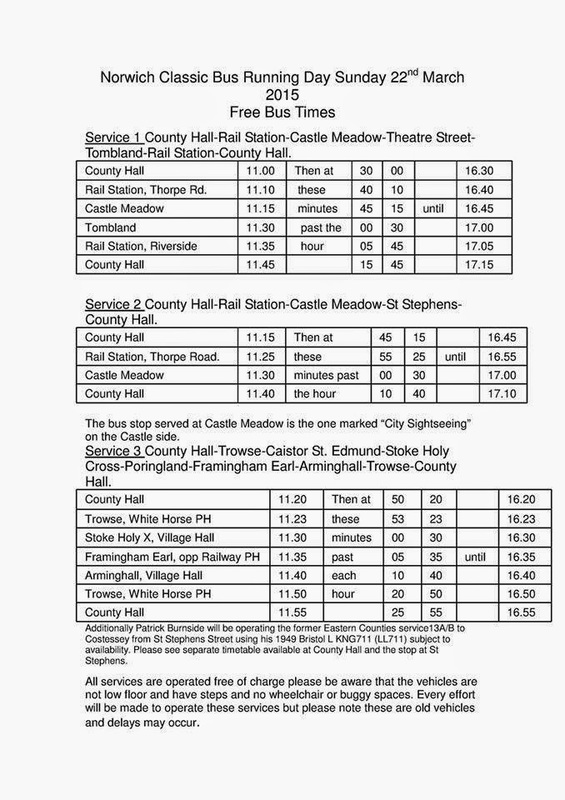 Its intended use was for the 48 service between Coventry and Leicester via Nuneaton - clearly not being used on that service that day! I thought that would be the last of the photos I would take in Tamworth, but next morning (Monday) I found a foreigner in our midst! 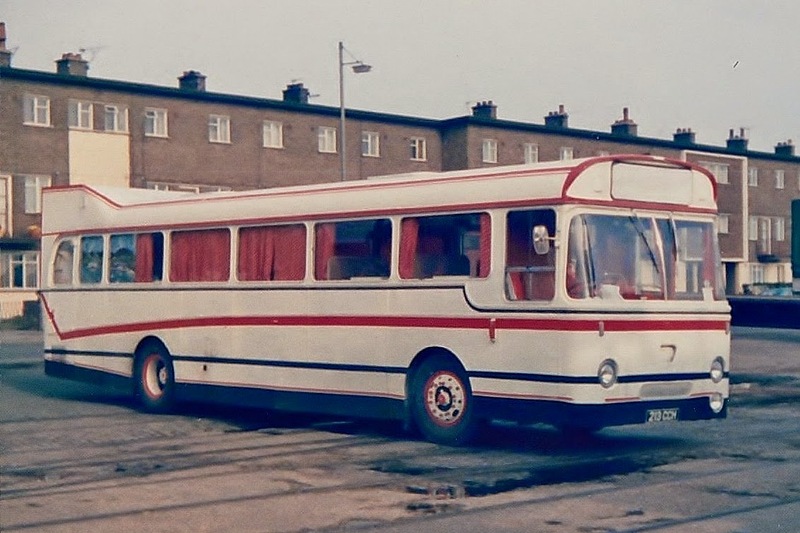 The apparition was in the form of a silver liveried coach from German operator Timor Bus parked in the Holiday Inn car park. It was my first view of the Turkish manufactured Temsa Opalin and was quite a surprise! 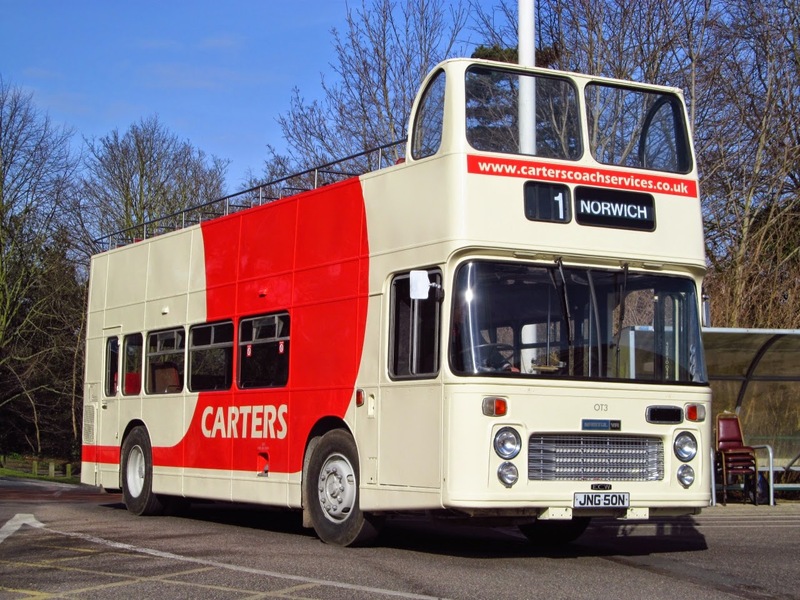 Before continuing with this post, I would to place on record my thanks to Grahame for attending and preparing a post for the Norwich Classic Bus Day. Hope you have now recovered from an exhausting weekend! As mentioned previously, I was unable to attend the event as I was visiting friends and family in the West Midlands. A Blog with quite a story as far as i am concerned this morning, my weekend began by spending 24 Hours on Harbour Radio doing a Charity Sponsored Marathon from 8am on Saturday, finishing at 8am on Sunday morning then having an hour and a half to go home, freshen up and return to Caister Road in time to board Routemaster JJD480D at 9.30 for the trip to the Norwich Classic Bus Running Day based at County Hall. Sleep was not an issue as i had been looking forward to attending and also the fact that blog owner Roy was away on family duties and he insisted i appear on behalf of the blog! (Only Joking). 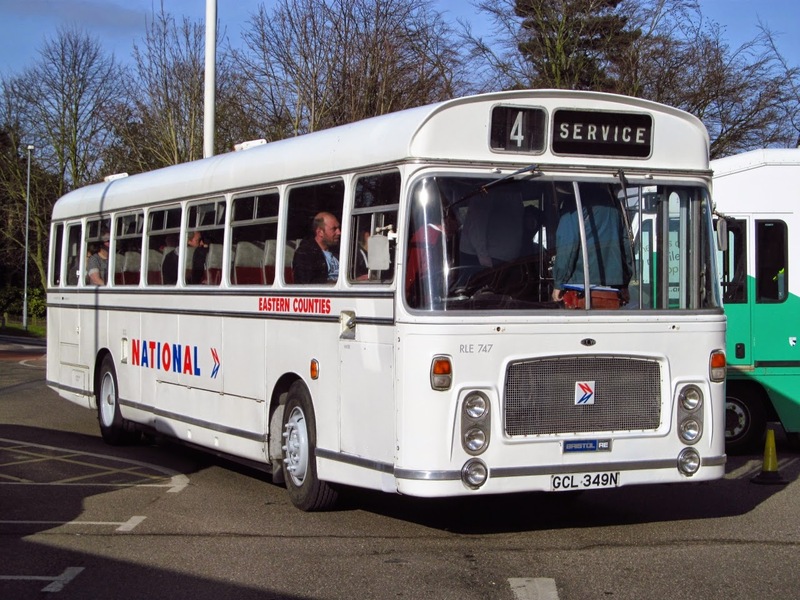 First Public outing for former ECOC Bristol VR JNG50N with new owner Viv Carter, a credit to him for the work done! Chris Speed invited myself and Colin White from the Eastern Transport Collection along for the trip aboard 39480 which did not look out of place amongst many classic ECOC vehicles attending and also found itself in use doing shuttle journeys around the city and a trip to look round First's Roundtree Way Depot for an insight into how First maintain their Norwich Fleet and what entails keeping the services running on a day to day basis. A Journey around the city aboard Ipswich based heritage liveried ALX400 32479 was an eye opener simply seeing the volume of people who were in the city observing the classic buses and wanting to ride them, we pulled up at Thorpe Station (in a vehicle driven by another Thorpe, Joe in this case!) to be greeted by at least 40 people waiting to grab a ride back to County Hall which deemed difficult for us as we were already near to capacity! 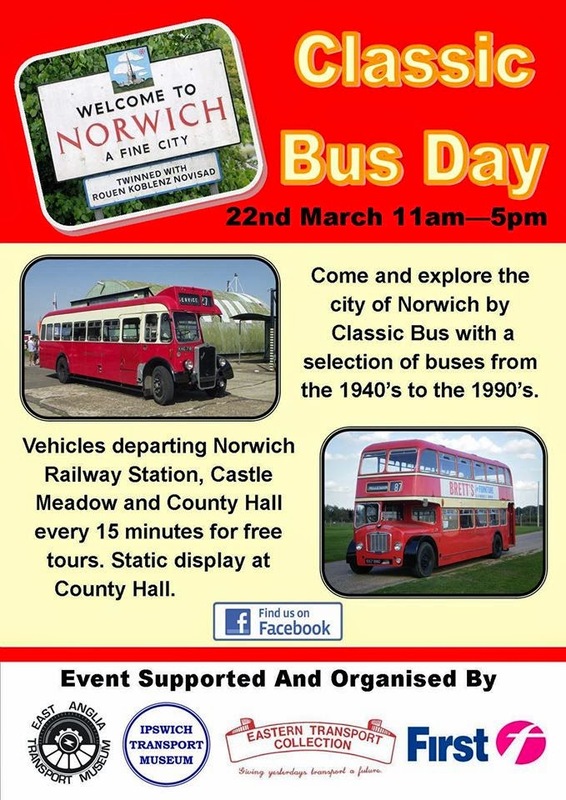 County Hall proved an excellent base for the event with parking and plenty of good photo spots on the site, also nice to catch up with fellow bloggers, Sam Larke, Steve W, Clive Nixon as well as our Beccles reporter Tim Miller and Chris Dugdell & David Smith from Konectbus. A very enjoyable day was had by all i am sure, well done to Neil Chilvers of the EATM for his organisation and members of both the Eastern Transport Collection and Ipswich Transport Museum and finally my buddy Chris Speed for his part in orgainising the County Hall site and the depot trip to Roundtree Way and also non Bus related thanks for the Kebab at 2am on Sunday morning in the studio! Yours Sincerely, Tired of Ormesby St. Margaret. The local newspaper, the Eastern Daily Press published an article on the event earlier in the week which can be viewed HERE. At least I managed to view two eclipses this morning! 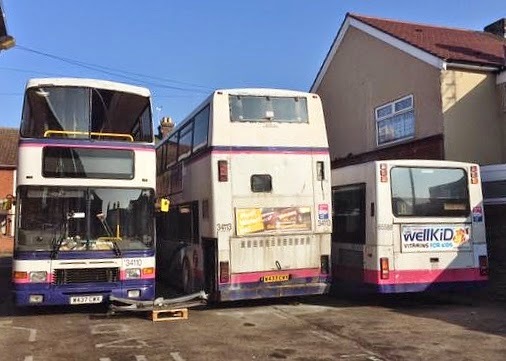 The licences of Keith Anderson trading as A2B Travel of Saxmundham and that of Soveriegn Mobility Travel of Great Plumstead, Norwich were surrendered in early March. Turner and Butcher of Kenninghall, Norwich has also surrendered its licence with immediate effect. 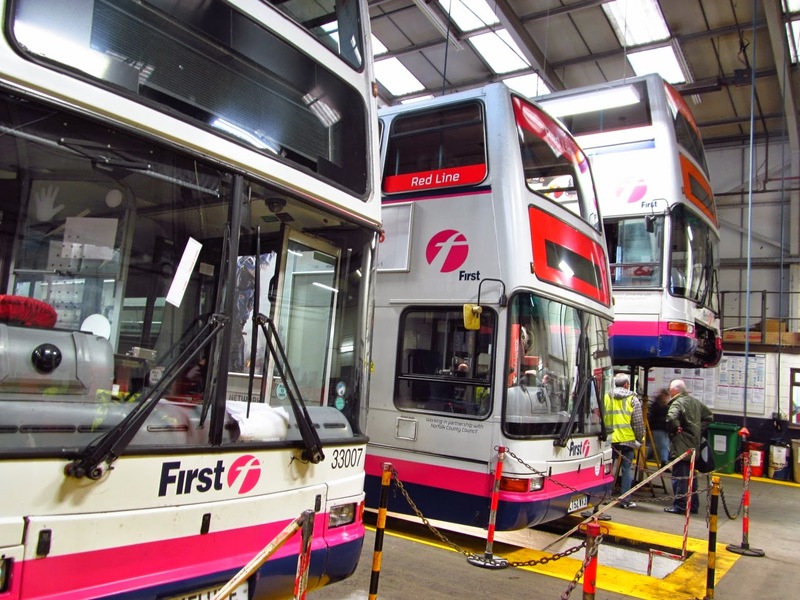 Whippet Coastal Services ~ The End? 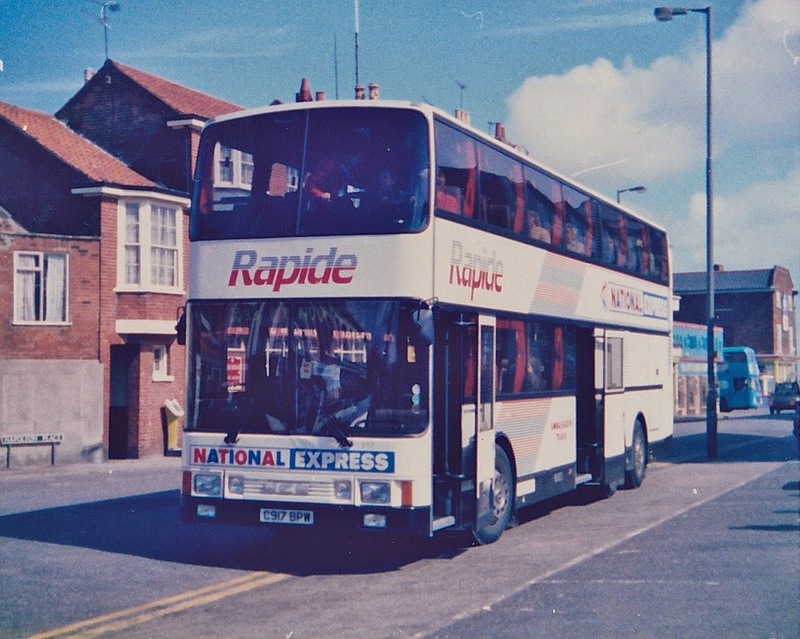 As many of you are aware, Whippet has operated a number of routes to the coast from the Cambridgeshire area for a number of years now. 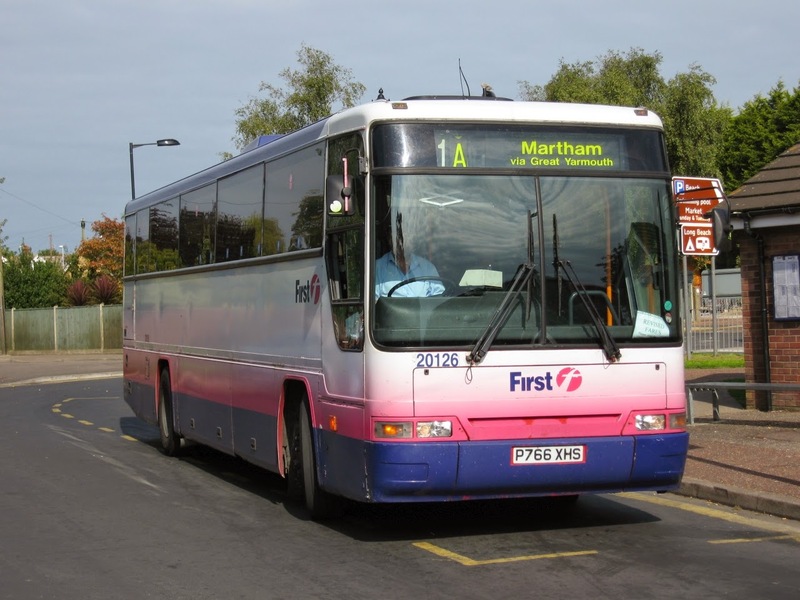 Although termed as seasonal, one Great Yarmouth service even ran through until December! 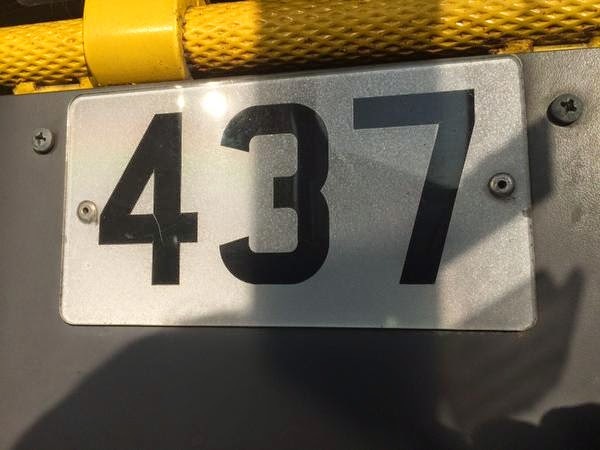 So it appears that the end is nigh! 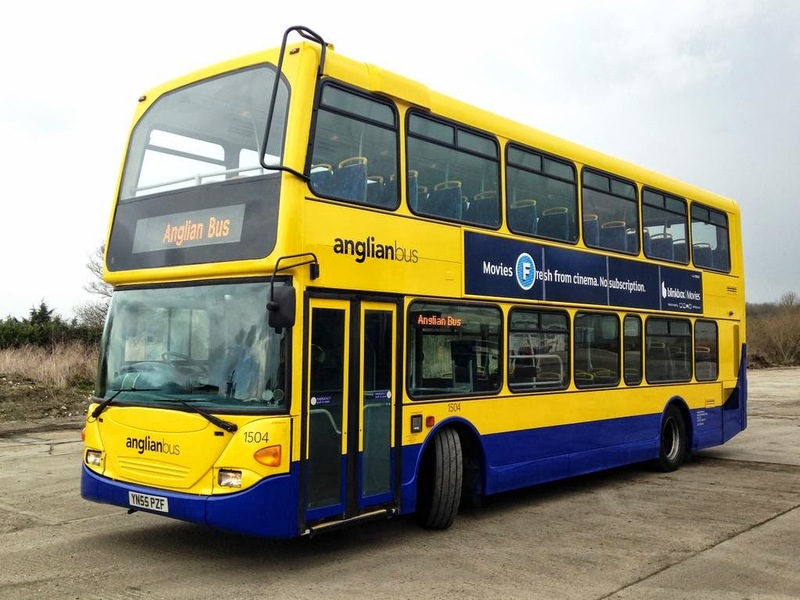 Unexpectedly following behind was an empty Anglian MAN/ Caetano Gasbus which is quite rare to see on the A143 route as they normally see use on company's 61 and 7 routes. Many thanks for the information and photo Noel, and I hope your father enjoys his five minutes of fame!